A superb walking tour with loads of intereresting affairs. 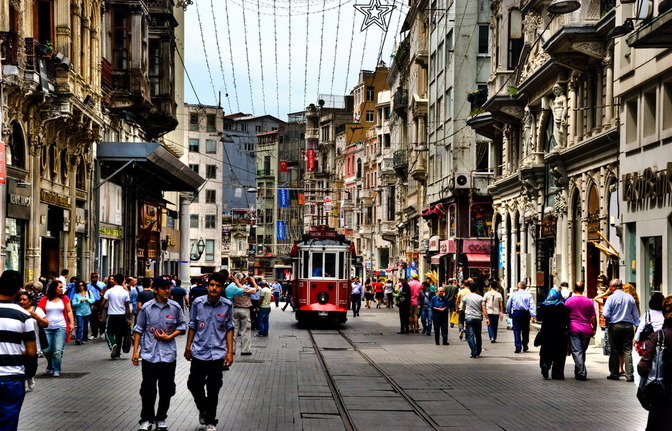 Explore the Genoise Karakoy district. Visit the Jewish Museum. See Arab Mosque, oldest mosque of Istanbul dating back to early 8th century. 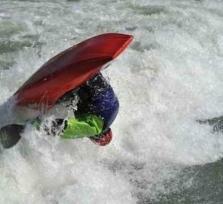 Use the second oldest tube in the world. Visit the Whirling Dervishes' Headquarters. Step into Pera Palace, the first hotel ever built in the city. 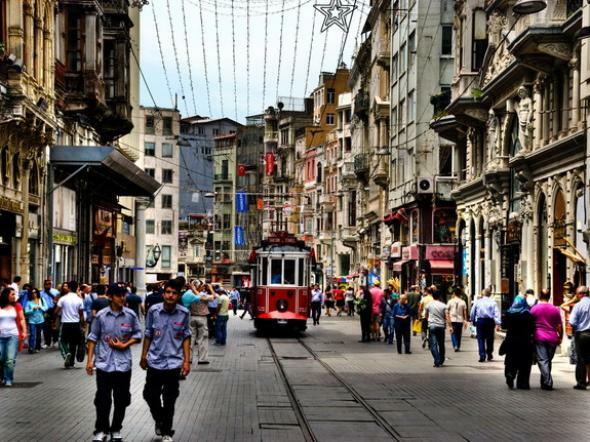 Walk the exquisite district of Istiklal Avenue. Visit Church of St. Anthony of Padua, the biggest church of Istanbul. Get your photo taken at the Taksim Square, the heart of the whole city. Sample the culinary tastes of the fish market neighborhood. Ride the authentic tram along the avenue. 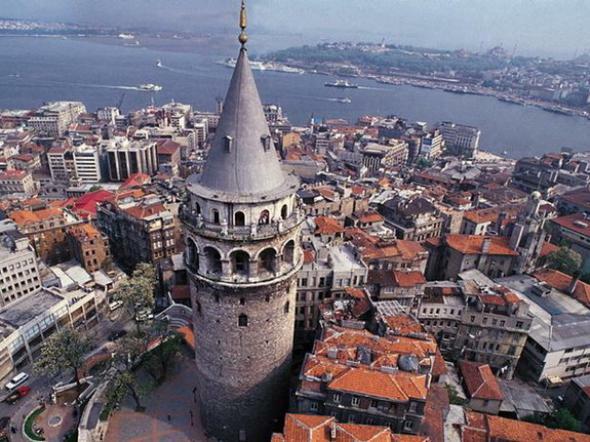 Go up the Galata Tower. Tour Highlights: We start our tour at the Eminonu Square. Then we walk across the Galata Bridge enjoying the panorama of old Stamboul and the Bosphorus Bridge. Next, we visit the nearby Arab Mosque which is literally the first Muslim shrine of the city. Afterwards, we will visit the Jewish Museum to learn about the Jewish heritage in Turkey. Then we will take the funicular called "tunel" opened in 1875. The upper end of world's second tube will be the official beginning of Istiklal Street, in other words, art nouveau Istanbul. 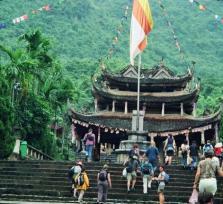 On a normal day, half a million people visit this vibrant walking street. Here we will visit a number of interesting places including the "Mevlevihane", the headquarters of humanistic "Whirling Dervishes" order. The atmospherical fish market of the avenue is renowned for many great tastes, so a perfcet spot for lunch. The street terminates by the Taksim Square where we will line up for our historic tram ride back to the tunnel. Tram services in Istanbul began in 1871 which was then powered by horses. 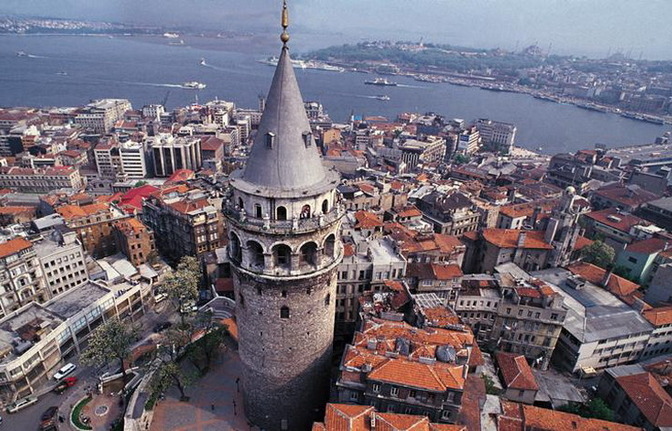 Galata Tower is situated very near the tunnel where we will admire the views as the sun goes down for a perfect ending of our exhilarating day.